We knew from the get go that we would face some difficulties starting an organic vegetable garden in West Central Florida. The soil is not very good. Mostly sand and the climate is hot and humid. The perfect incubator for insects and fungus, but we felt we were up to the challenge. The first thing we did after clearing the plot was to add over 1600lbs of cow manure to the soil and work it in. To give us an edge against the anticipated insect assault we alternated garlic and onion plants around the entire perimeter of the garden as most insects will avoid both garlic and onions. It worked extremely well. We did experience an episode with leaf miners in our organic vegetable garden but quickly brought it under control by putting jalapeno peppers in our blender with a little water. After mixing the peppers and water on high for a few minutes, we then filtered the concoction through a coffee filter, then put it in a sprayer and sprayed the plants in the garden. Again, it worked great. The Gardener Within: Master Gardener Joe Lamp’l explores how Thomas Jefferson’s garden may inspire today’s homeowners and gardeners. One of the central techniques contributing to the success of the Thomas Jefferson garden is the focus on soil health and fertility by regular additions of organic matter. Vegetable gardeners have discovered it’s not necessary to arm yourself with an arsenal of chemicals to grow great produce. As many of us have realized, we need to be more environmentally conscious both inside and outside our homes. Gardens are living systems. A healthy garden starts from the ground up. In our quest to find examples of eco-friendly gardens around the country for my PBS show, “Growing a Greener World,” we featured the garden of one of America’s most famous organic gardeners, Thomas Jefferson. Monticello is on a mountaintop, just outside Charlottesville, Va. Jefferson’s 5,000-acre plantation served not only as his food supply, but also as a living laboratory. Jefferson grew plants from all over the world, including interesting vegetables such as sea kale, cardoon, Caracalla beans, Florence fennel, fava beans and crowder peas. 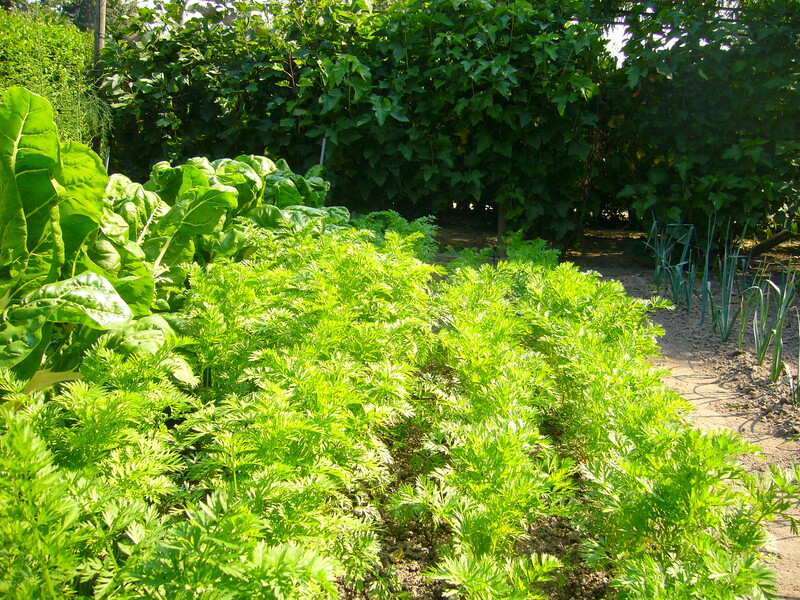 Rodale organic gardening is something that every organic farming enthusiast should be aware of. 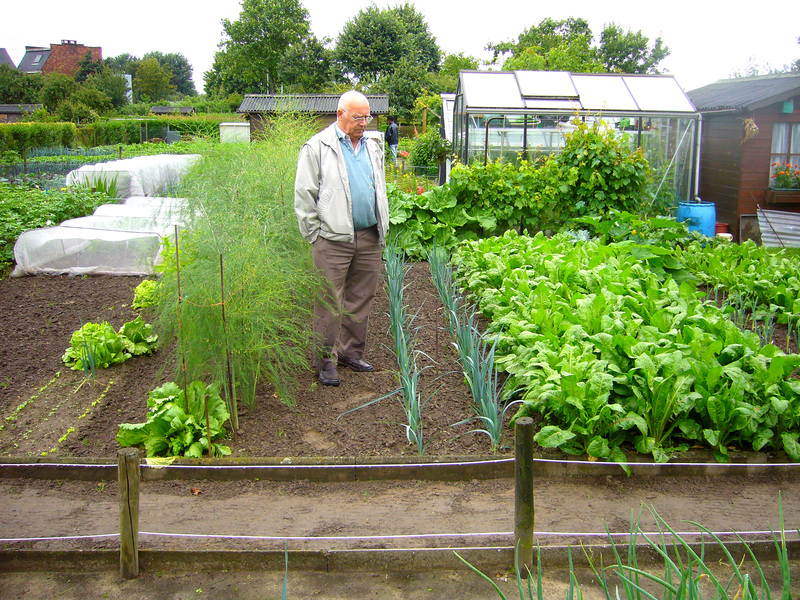 The guidelines of proper organic farming have been mentioned in a clear cut way in this method of gardening. This particular method gives a lot of importance to the soil and helps you know how you can improve the quality and fertility of the soil making it ideal for cultivation of vegetables and fruits. The soil is said to have been handled properly only if it becomes very dark, which is the result of carbon accumulation. This is what determines the fertility of the soil. Such soil contains more compost which helps in retaining moisture and absorbing oxygen from the atmosphere. Black is the color that distinguishes fertile soil from that which is low in fertility. This simply means that your soil is said to be extremely fertile only if it is black in color. Rodale organic gardening primarily states that one need not use fertilizers for their plants if they add compost twice or thrice a year. This method emphasizes on the five principles of organic farming. Compost takes just 3 months to get prepared but the benefit it bestows on the plants sustains for an unbelievably long time. Hence it is of prime importance to leave it unperturbed for the duration mentioned.